The capital of Maharashtra is said to be the most densely populated cities in the country with an estimated and the rising population of more than 12 million. Originally home to the fishing community of Koli people, now the entertainment capital of the country lies on the Konkan coast and has a naturally deep harbor. In turn, it also houses the world’s largest slum- Dharavi, which lies as a stark contrast to the fact that Mumbai is also the wealthiest city in India and is the living place for the highest number of millionaires and billionaires. 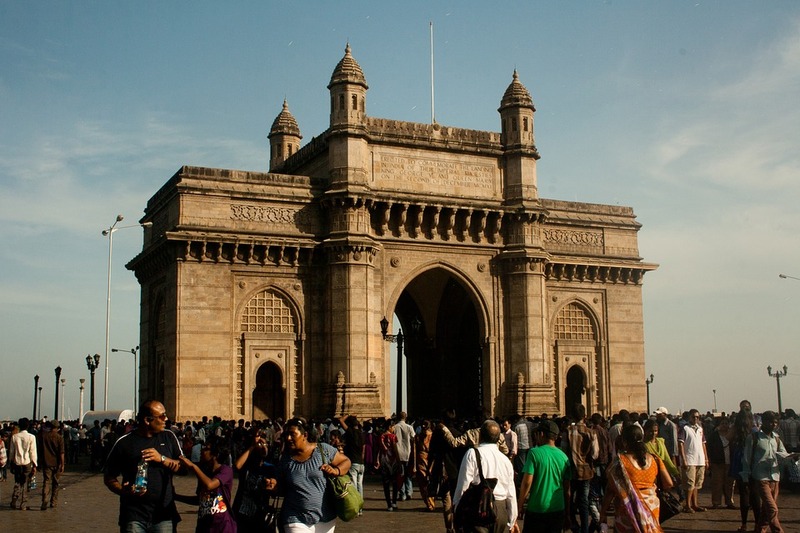 This financial and commercial capital also holds on to a lot of historical monuments, out of which the city’s Victorian and Art Deco buildings, Chhatrapati Shivaji Terminus and the Elephanta Caves are UNESCO World Heritage Sites. If you want to visit this cosmopolitan city, then hop on a flight and come in through the Chhatrapati Shivaji International Airport which caters to both national and international flights. You will be able to book Dubai to Mumbai flights, Kathmandu to Mumbai flights, Cape Town to Mumbai flights and more so really easily. Bring your wallet toColaba Causeway: This thriving place is famous for being a shoppers paradise with endless shops to choose from. The causeway acts as a link between Colaba and Old woman’s island. You will find everything from high-end boutiques to roadside vendors who sell everything you could ever think of buying and that too in different prices (as well as quality). Pro tip: If you are a movie buff and are interested in seeing how movies were shown before multiplexes, just head straight towards the Regal cinema. Go with a car on Marine drive: This is a boulevard shaped in the form of an arc, right along the South Mumbai coast, which starts from Nariman Point’s southern end of the Chowpatty beach. Also known as the Queen’s necklace due itsarc shape and the yellow streetlights bordering the road. This is undoubtedly the best place to watch a sunset from or if you just want to have a leisurely stroll while munching on some snacks from the street vendors. Enjoy someoneon time at Girgaum Chowpatty: Shortened to just Chowpatty, the beach is situated in southern Mumbai, right alongside the western railway route. A great place to just chill out and hang around. If you want a break from the daily humdrum of life, then head towards this beach full of white glistening sand. You can also enjoy horseback rides, cable rides and more. If you have kids then will certainly enjoy some of those merry go rounds. Breathe history in through the Elephanta caves: This UNESCO World Heritage site is located at a distance of 11 km from Mumbai. The caves are a specimen of the rock-cutarchitecture and are known in the local areas as Gharapurichi Leni. There are two groups of caves called the Hindu and the Buddhist caves because they contain sculptures representing the Shaiva Hindu sect and Buddhist sects respectively. Mumbai never sleeps. This city is a melting pot because it welcomes people from all walks of life. Truly the city of dreams in every sense of the word.